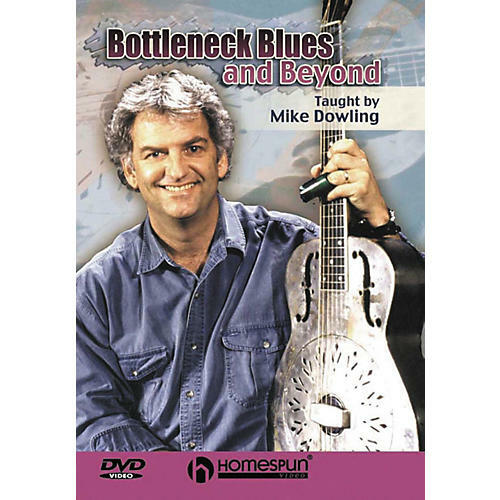 This lesson in bottleneck/slide guitar details the powerful techniques that put Mike Dowling in high demand as a Nashville session guitarist. Taking examples from traditional blues as well as his own compositions, Mike explores often-overlooked tricks of the trade that will make even the simplest lines sound musical. Playing primarily in open D tuning, Mike teaches Mean Ol' Frisco, Stranger Here, Boogie Woogie Dance, Swamp Dog Blues and Jan's Song. Early intermediate level. 110-minutes.